2. Paul Goble: Number of Marriages and Number of Divorces Both Falling in Russia – and Possibly for Same Reasons. 3. 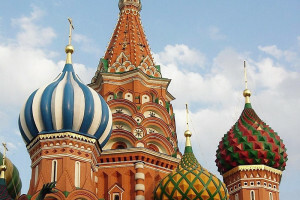 Newsweek: IS RUSSIA SAFE? U.S. ADDS TO NEW KIDNAPPING THREAT LIST ALONG WITH IRAN, VENEZUELA AND THESE OTHER COUNTRIES. 4. Wall Street Journal: George P. Shultz, William J. Perry and Sam Nunn, The Threat of Nuclear War Is Still With Us. The U.S. must re-engage with Russia to ensure the ultimate weapon doesn’t spread and is never used. 5. Irrussianality: Paul Robinson, MUTUAL LACK OF CRITICAL INTROSPECTION. 6. Forbes.com: James Rodgers, Russia, Putin And The Future: Political Factors For Investors And Policy Makers To Watch. 7. Interfax: Putin stresses need for investigators to work strictly within law. 8. Reuters: Russian Lawmakers Approve Second Reading of ‘Sovereign’ Internet Bill. 9. Meduza: Defendants need people who give a damn . How ‘public advocates’ are disrupting Russia’s justice system. 10. www.rt.com: American investor Calvey released from Russian jail & placed under house arrest. 12. Eurasian Geopolitics: Edward Walker, Review of Michael McFaul, From Cold War to Hot Peace: An American Ambassador in Putin’s Russia. 13. Montana Public Radio: Former US Ambassador Talks Trump And Russia-US Relations. 14. Samuel Charap: The Demise of the INF: Implications for Russia-China Relations. 15. Reuters: Nord Stream 2 delay ‘trump card’ in Russia-Ukraine gas talks: EU official. 16. Interfax: Videoconference to agree on Donbas ‘Easter truce’ slated for April 18 – Deinego. 17. Moscow Times: Rebel Leader Says East Ukraine Wants to Join Russia. 19. Kyiv Post: New poll: 71 percent ready to vote for Zelenskiy, 29 percent for Poroshenko in second round. 20. Intellinews.com: Ukrainian Zelenskiy releases list of first 10 steps should he win presidential elections. 21. Transitions Online: Dmytro Babachanakh, Will the Real Volodymyr Zelenskiy Now Stand Up. Does new information about the genesis of his TV show reveal that the favorite in Ukraine’s presidential election has a hitherto unsuspected genius for politics? 22. www.rt.com: Ukrainian adventurism in Black Sea risks pulling NATO into war with Russia – senators. 23. Interfax-Ukraine: Russia preparing for full-scale war in Europe, Ukraine will be first bridgehead. 24. Forbes.com: Zak Doffman, Forget Russia, China And Iran, Up To 80% Of Cybersecurity Threats Are Closer To Home. 25. The Federalist: Jonathan Tobin, Democrats’ Denial Over The Lack Of Russian Collusion Could Re-Elect Trump. Doubling down on accusations and demanding the un-redacted Mueller report is no substitute for collusion myths, but Democrats’ inability to let it go helps the president.